Colby is honored to host Internationally recognized sound healer Mark David in Los Angeles for a rare & special evening as they come together to deliver messages from spirit and experience profound sound healing. 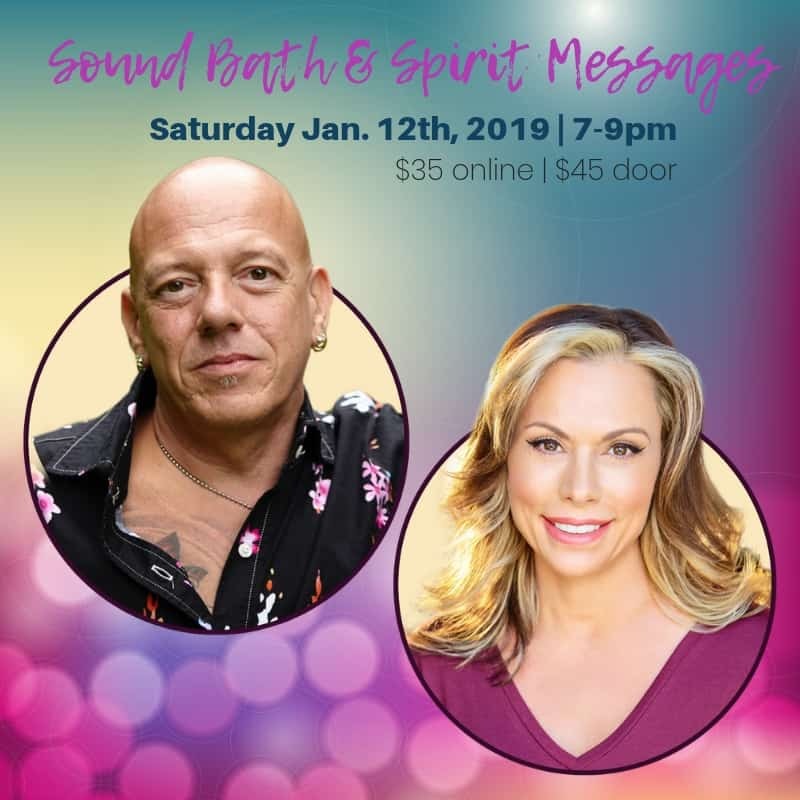 The evening will begin with channeled sound bath byinternational sound healer Mark David followed by messages from your loved ones in Spirit delivered by Colby Rebel. Together these two will bring two worlds together for a magnificent evening of evidence, healing and love.